With this dino place mat you can add new excitement to your child's mealtime and have some special dinosaurs themed activity at the same time. 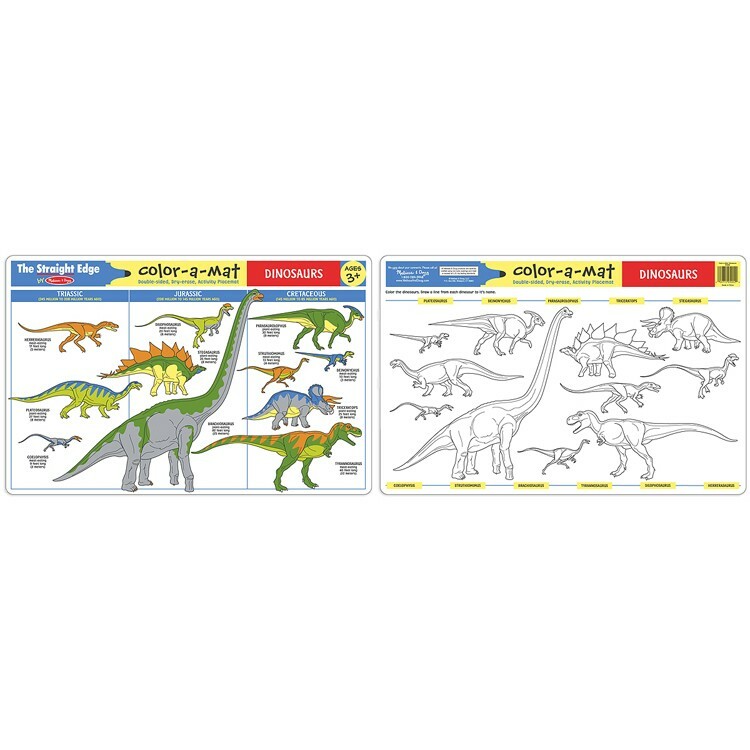 Dinosaurs Coloring Learning Placemat comes from Melissa & Doug's educational mat series. With this dino place mat you can add new excitement to your child's mealtime and have some special dinosaurs themed activity at the same time. Dinosaurs Coloring Learning Placemat is a double-sided, write-on, wipe-off placemats. 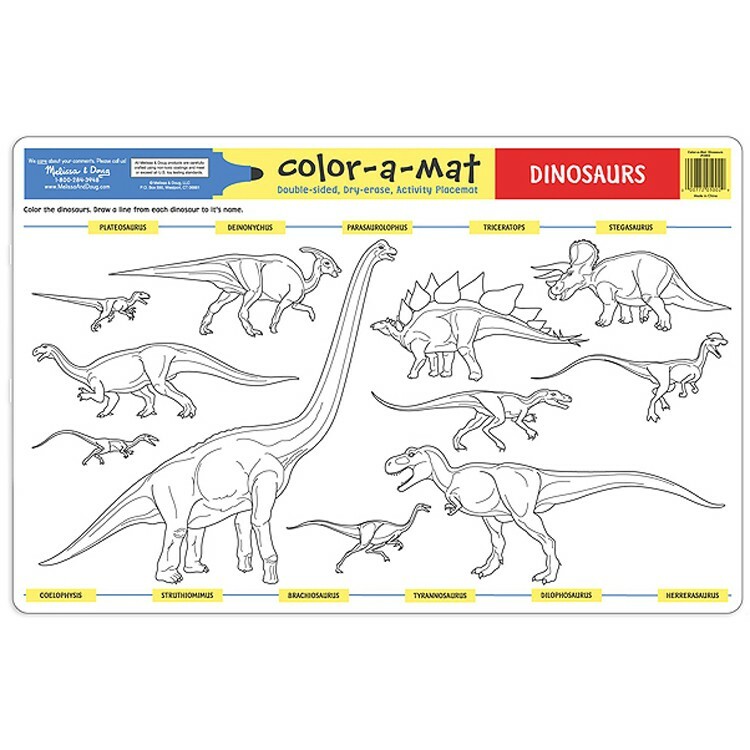 With Educational Toys Planet's wipe-off Learning Placemat Crayons (sold separately) you can color the dinosaurs on this dino learning activity placemat again and again. The Melissa & Doug's durable activity mats are available in a range of educational topics from math to maps! 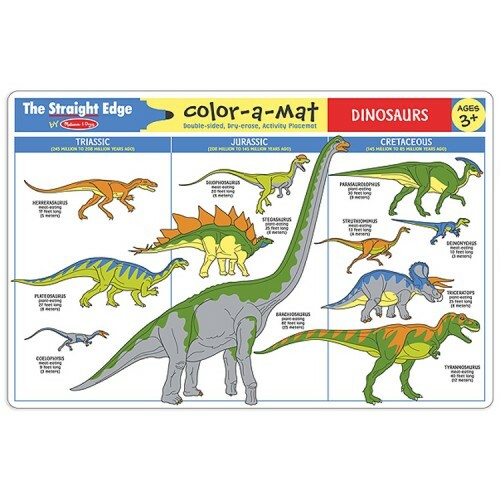 Dimensions of package 17.25" x 11.25" x 0.15"
Write your own review of Dinosaurs Coloring Learning Placemat. Rating: 4 Fun by Jessica G Melissa and Doug makes a wide variety of these placemats. They are very reasonably priced and can be used over and over again for learning and fun. The best part is that these types of learning tools incorporate education into their daily routine and they don't even realize it. If you have a child who is learning about or who is just interested in dinosaurs then they will be THRILLED!